We really didn't mean to stack the list with local writers, but it looks like that's what we did. Maria Semple is a transplant to Seattle who's grown to love the town, but on her way to accepting it, she had to get used to quite a few of our Puget Sound peculiarities. 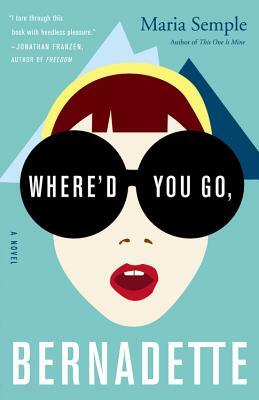 That experience turns into spot-on satire in Where'd You Go, Bernadette, the story of one misanthropic woman's inability to cope with modern life and her resulting disappearance. Her daughter's trawl through mom's emails, memos, and other notes in search of her whereabouts becomes one of our favorite novels of the year. Semple's a blast herself, and her appearance here in the store was another one of the year's highlights for us.